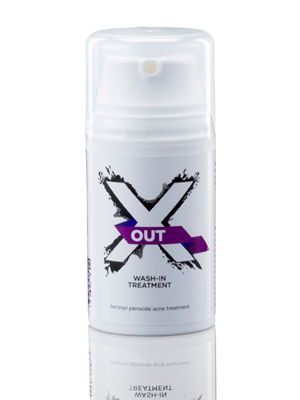 In my Influenster Holiday Vox Box I recieved the X OUT Wash-In Treatment. I loved it! The smell is one of the first things that I loved. It makes me feel like my skin not only is getting clean, but smelling great! I would describe it as a clean, fresh, powdery and almost medicinal scent. However, it's not too overpowering. What's great about this treatment is that it's 3 products in 1. You can use it as a wash, spot treatment, or mask. I used it as a mask and loved it. It's a thick formula that you can thin out with water and exfoliates your face. I loved how it has menthol so it creates a cooling effect once you let it sit as a mask. I did receive the products in my Holiday VoxBox for free (the X Out Treatment was one of the free products), you could too by signing up for Influenster. I am not being sponsored by Influenster, and all opinions are my own. Great healthy product you have shared with us. Thank you taking Acne Wash-In Treatment issue here.